Tinker, finishing her UKC Championship, with three group firsts - and one Reserve Best in Show! 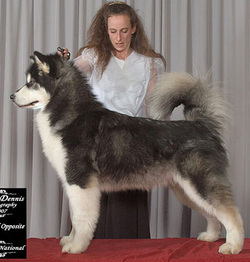 Tinker at a show, December 2011. 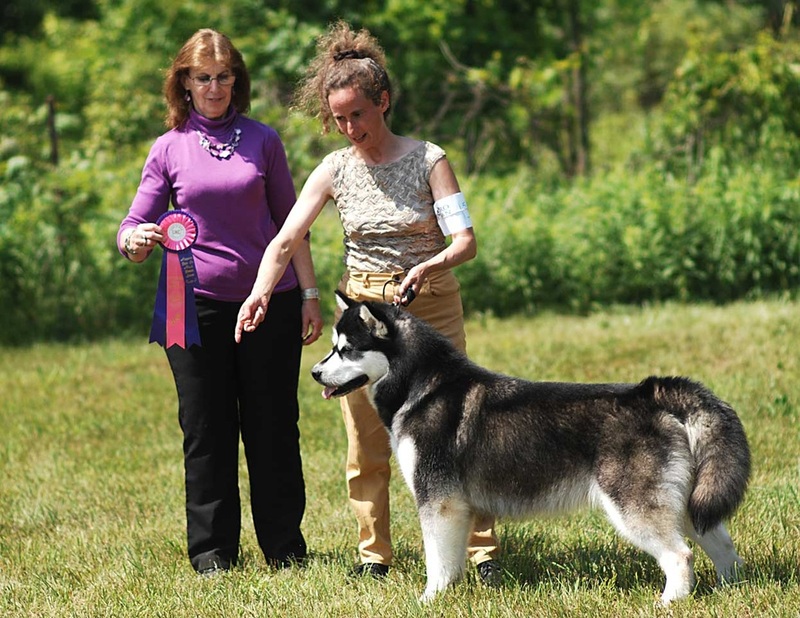 She earned two points with this 'win' but finished her CKC Championship May 2012. Tinker, (Stinker, Tink Bomb or Tink) was born December 7, 2008 and is Ooky’s only daughter from her first, and only, litter - as there was only one baby in the litter. 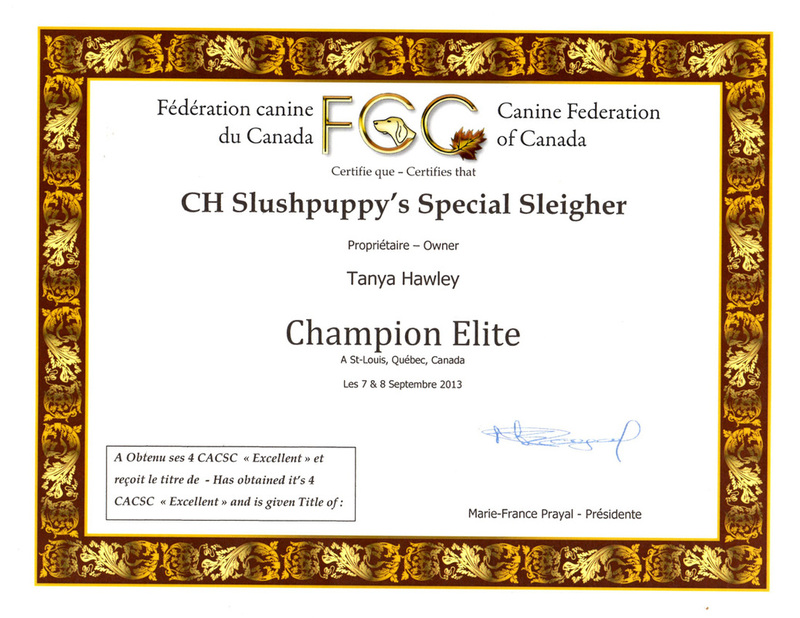 Tinker has her CKC Championship as of May 2012, her FCC Championship as of Sept 2011 - and her UKC Championship June 2013, with three group firsts - and one Reserve Best in Show! 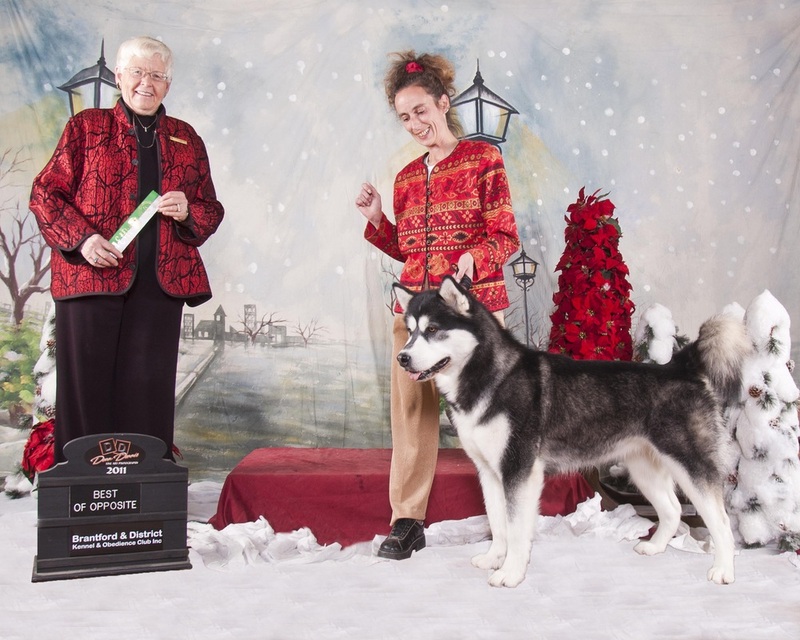 IN Fall 2013 Ms Tink finished her FCC Elite Championship in one weekend over four shows. She came home with a Group Fourth, too, in heavy competition! Tinker has done several working competitions, never leaving empty‐handed. 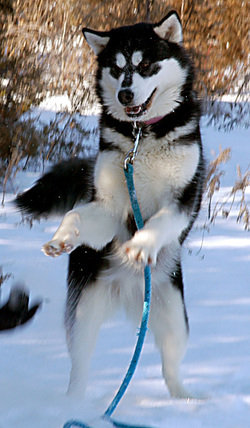 She has gold, silver and bronze wins from weightpull in addition to gold and silver wins from scooter races (running - what we do with Alaskan Malamutes when there is no snow) although she has been sledding when we get some snow. 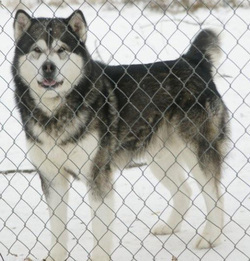 Since most of my dogs are fairly old, she's been running with 'strangers' and has been able to go on any team she's put on, with Siberian's and other Alaskan Malamutes. While she swims, plays fetch, enjoys water, she will not cross water in harness, for any reason. Have to drag her across! She also has her herding instinct certificate (HIC). 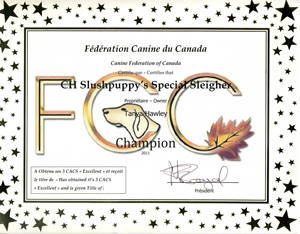 As of September 2010 she earned her first conformation title with two Best of Breeds and two BOS, from Fédération Canine du Canada (FCC), a Canadian registry similar to CKC but who follows FCI formats with European judges. Her mother has both FCC Championships. Tinker has qualified for her Working Pack Dog certificates and I recently sent them in. 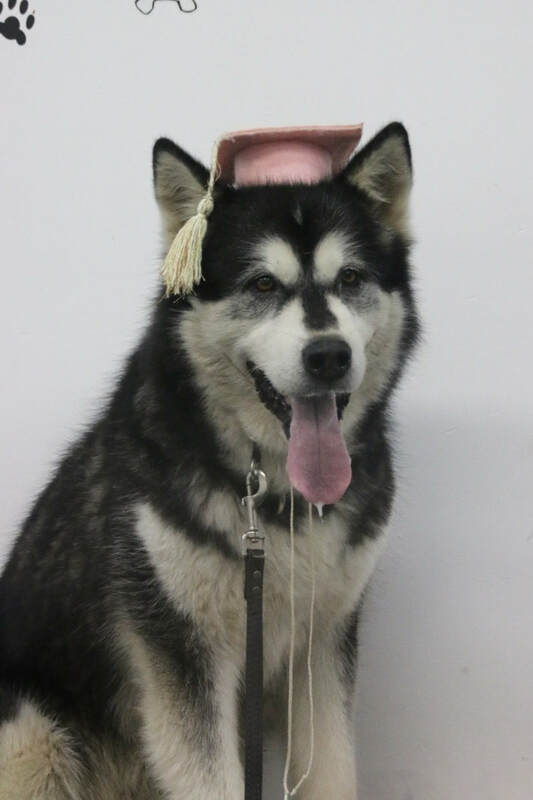 Tinker graduating from obedience class Fall 2017. Tinker, 14 months, 'gaiting' (ok, maybe trailing)! 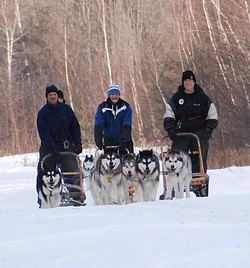 Tinker - Far left, sledding with a small team (there are four teams in this picture) of Alaskan Malamutes and Siberian Huskies. 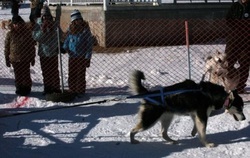 I don't sled my dogs much although I do 'scooter' them and thanks to the people she is running with, Kent and Cindy Merkley, Tinker had a chance to experience 'real sledding' Feb 2011!